I Love You More Than Carrots: Ghosts, Ghouls and.. Matching Brotherly Halloween Jams? Ghosts, Ghouls and.. 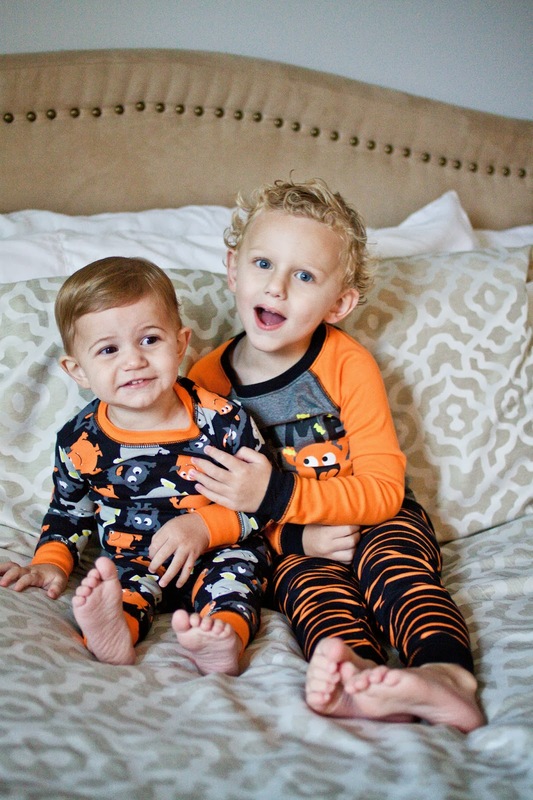 Matching Brotherly Halloween Jams? You know what's awesome? Little kids' clothes. You know what's even more awesome? Little kids' pajamas. It's no secret that I have a sick obsession with pajamas for the M brothers. If you follow me on Instagram, check out the hashtag #MacAttackInTheMorning and you'll see just what I'm talking about. Even though we've had plenty of "hammiedown" jams from one M brother to the next, I couldn't pass up a holiday plain ol' Wednesday opportunity to splurge on additional matching pajamas for the boys. When two of my favorite blogging mamas, Darci and Meredith, mentioned hosting a Halloween Pajama Party link-up, of course I knew I'd be all over that faster than naked Miley on a wrecking ball. It was especially convenient considering we had just spent the last six days lounging around in our comfies while we lovingly passed the stomach flu from one member of our family to the next. Thankfully we're mostly on the mend and more than sufficiently cabin-fevered which meant that I had two semi-willing participants who didn't mind jumping around on our bed for a quick photo op. Pajamas courtesy of Target. Good looks (and short attention spans) courtesy of Mom and Dad. I kind of love how much of a mini we each have in these two. It makes us even more excited to see who M3 looks like! You have two of the cutest kids! I'm so excited for M3! Too cute! They are pros when it comes to posing, even if just for a minute! Oh I just adore them so much!! 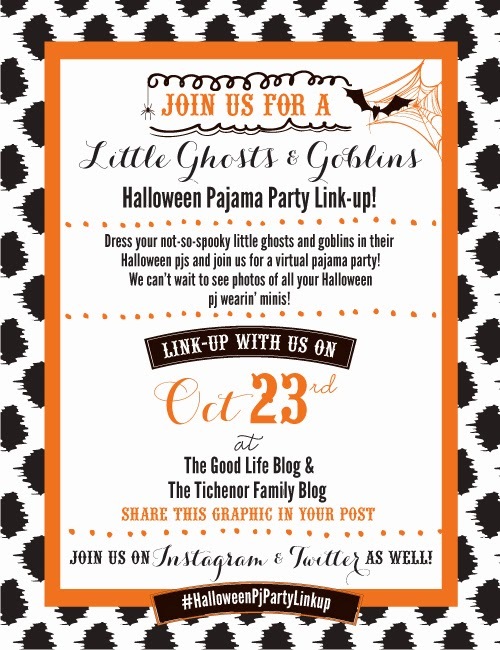 :) and the jammies too! Love your headboard, lettering above it, and your adorable Jammie's and boys. Target for the win! Always! Aw!! They looks so cute and snuggly! I'm so sorry you've all been sick. Bleh. 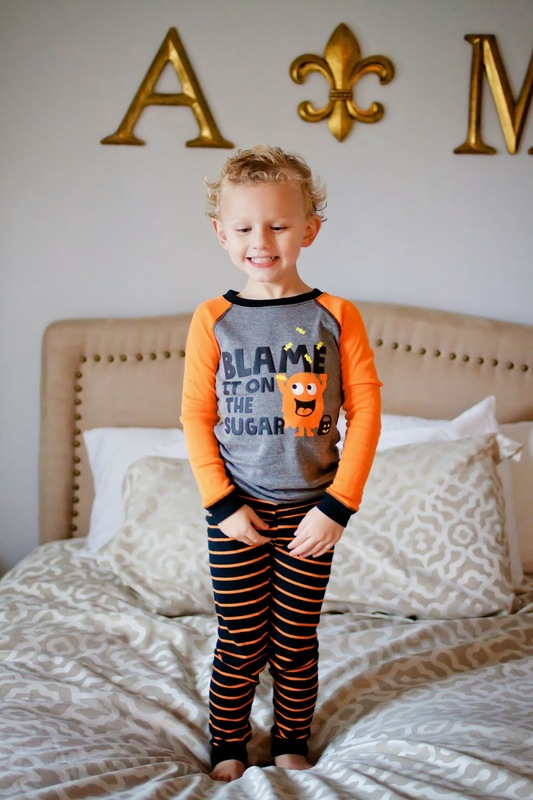 My little guy is wearing the same jams in our pictures too, and we have the same headboard as you do hahaha. these M boys are the sweetest of sweet, i tell ya! Faster than a naked Miley Cyrus on a wrecking ball?!?! OMG dying. Cute little ones! In unrelated new, I'm obsessed with your bed set and headboard. 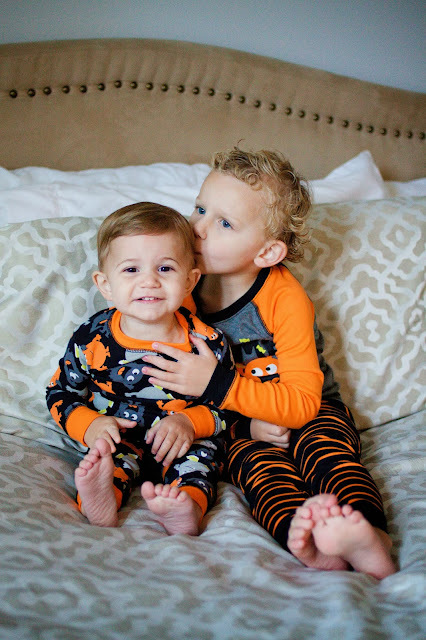 They are so sweet & LOVE their jammies! !